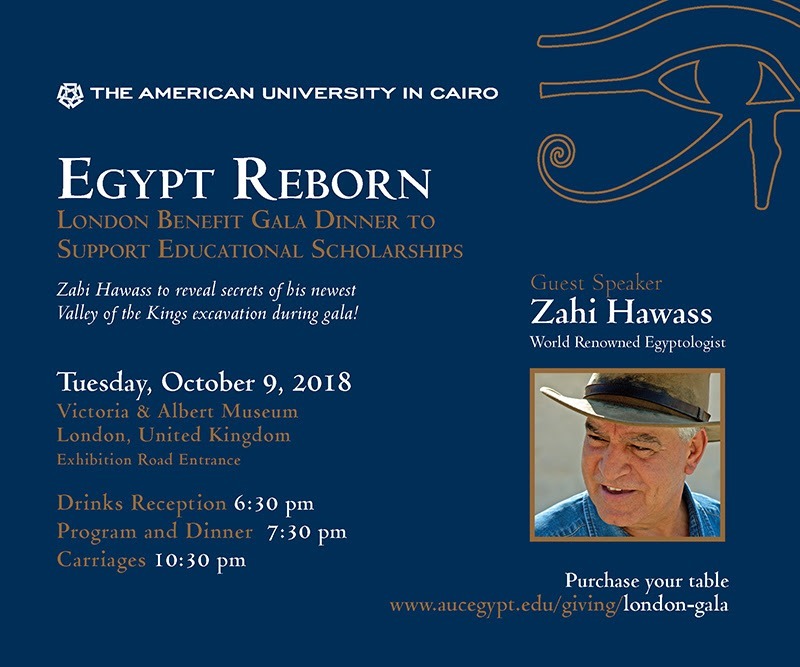 Egypt Reborn with Zahi Hawass in London!! On October 9th, the Victoria and Albert Museum in London with welcome Zahi Hawass, among special guests, for a lecture about his latest excavations and discoveries in the western Valley of the Kings. 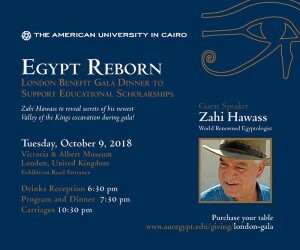 The lecture will be the highlight of a gala fundraising dinner organized by the American University in Cairo to raise funds for sponsored scholarships and fellowships at the university.